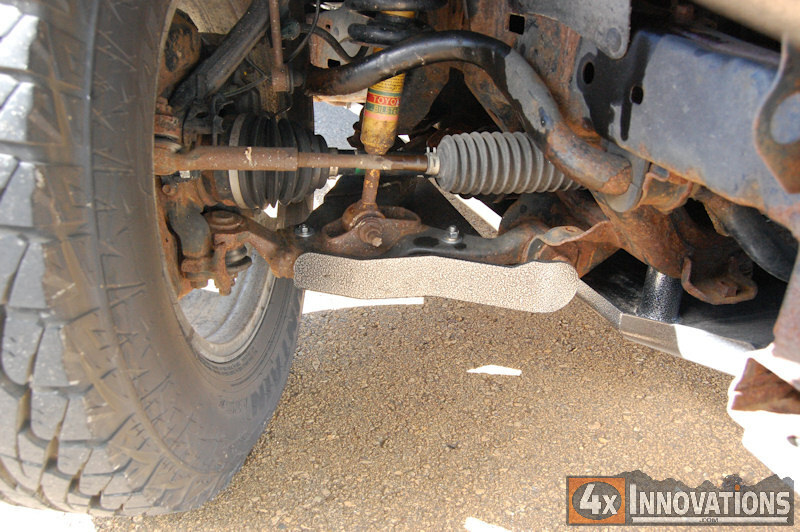 The IFS suspension on a 05-15 Toyota Tacoma is a well designed piece of engineering, and works great off road, but Toyota left out one important bit. The lower control arms on the IFS suspension are thin steel and worse yet they have a giant hole in the middle. Armor Tech has come to the rescue and engineered a great Lower Control Arm Skid Plate to protect you in your off road adventures. This high strength skid plate is made from 1/4 inch thick high grade steel and meant to take a beating. 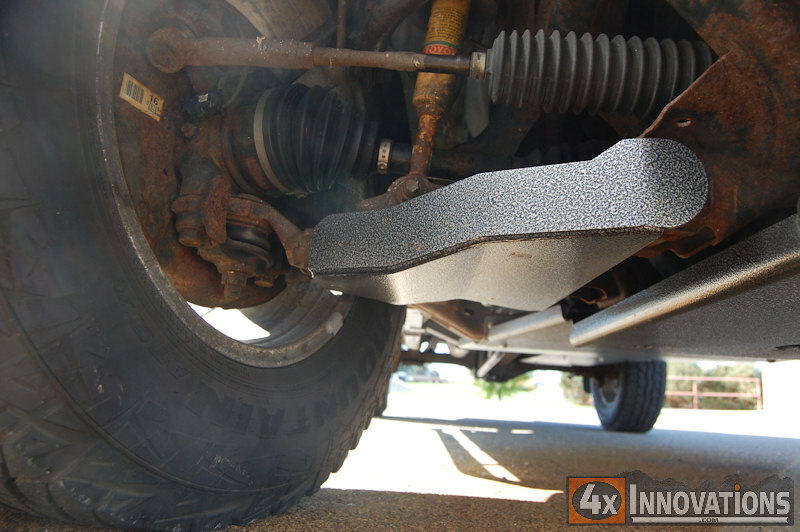 It will provide a nice flat bottom skid pad for your Lower Control Arms and even includes counter sunk flat head screws to decrease drag when sliding on rocks and logs. This LCA Skid also wraps around the front of the frame to protect the LCA alignment adjustment nut and cam bolt. Installation is as simple as it gets, simply use the supplied stainless steel hardware to mount the skid plate through existing holes. 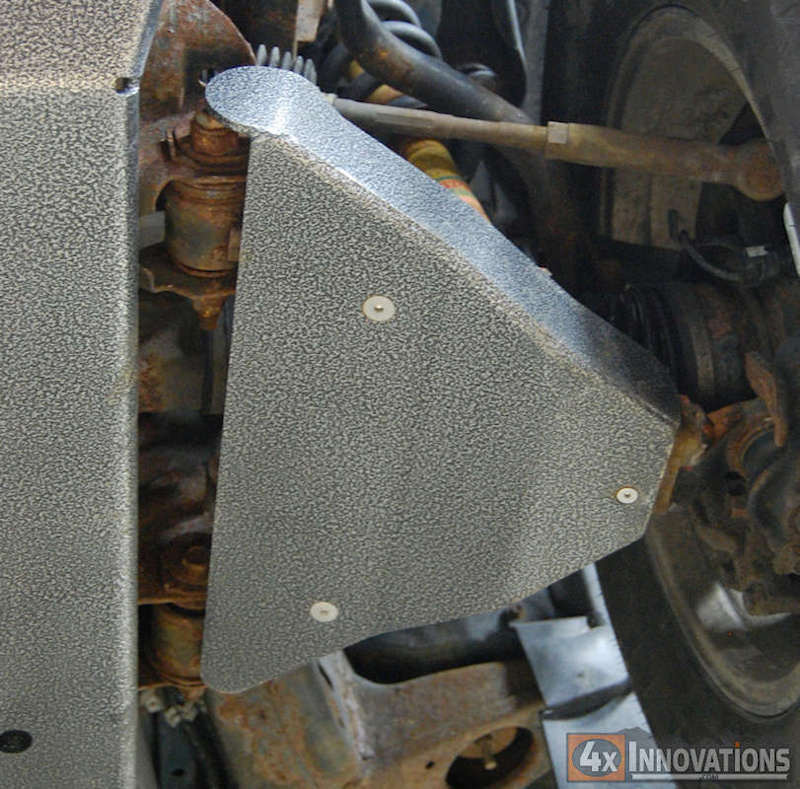 This skid plate is a direct bolt on option that will work with the ATO Front Skid Plate with no modification. Modification may be required to work with some other aftermarket skid plates. Sold as a set of driver and passenger skids. Ships bare steel, ready to paint. LCA Skids do not fit the 2016+ Tacoma.